MAKING IMPROVEMENTS Physicists are shutting down the Large Hadron Collider to perform upgrades on the accelerator and its detectors, including the CMS detector (shown). 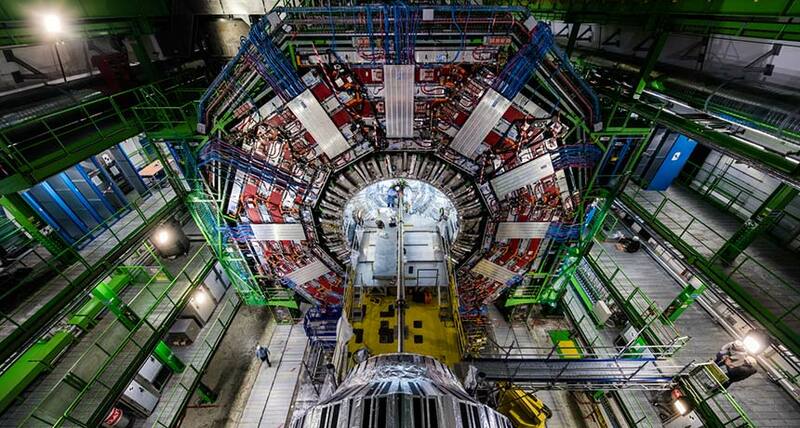 The world's most powerful particle accelerator has gone quiet. Particles took their last spin around the Large Hadron Collider on December 3 before scientists shut the machine down for two years of upgrades. The world's most powerful particle accelerator has gone quiet. Particles took their last spin around the Large Hadron Collider on December 3 before scientists shut the machine down for two years of upgrades. Located at the particle physics laboratory CERN in Geneva, the accelerator has smashed together approximately 16 million billion protons since 2015, when it reached its current energy of 13 trillion electron volts. Planned improvements before the machine restarts in 2021 will bring the energy up to 14 trillion electron volts - the energy it was originally designed to reach. During a round of lower-energy collisions between 2009 and 2013, researchers found the elusive Higgs boson, filling in the last missing piece of the standard model of particle physics (SN: 7/28/12, p. 5). The planned adjustments to the machine will also lay the groundwork for another incarnation of the collider further in the future, known as the High-Luminosity LHC (SN Online: 6/15/18). That upgrade, expected to be ready by 2026, will increase the rate of proton smashups by at least a factor of five.